Crystal Hanson is the owner of South Creek HR LLC, a human resources consulting firm based out of Fairmont, MN. She has over 12 years of experience as a human resources professional working in the corporate industries of manufacturing, technology, and services. In 2016, she launched an independent consulting business to meet the HR needs of small and mid-sized businesses. Today, she serves small and mid-sized businesses by analyzing risk associated with their HR systems and designs custom solutions that are the right fit for an organization’s culture and are compliant with various laws. She also spends time developing leaders on how to protect their company and to become more effective managers. 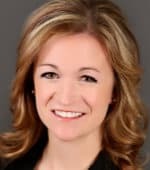 Crystal sits on the Board of Directors for the United Hospital District and earned her Master’s Degree in Human Resources and Industrial Relations from the Carlson School of Management at the University of Minnesota. Crystal first became familiar with Thera Rising’s methodologies and Conflict Savvy! after reading Anna Maravelas’s book How to Reduce Workplace Conflict and Stress. The book was spot-on with the many employee relations issues she had been involved with for years. She realized this program was the solution to help so many businesses struggling with on-going workplace conflict. She became a certified facilitator of the program in 2017.